Hi Everyone! Let’s start with the basics. 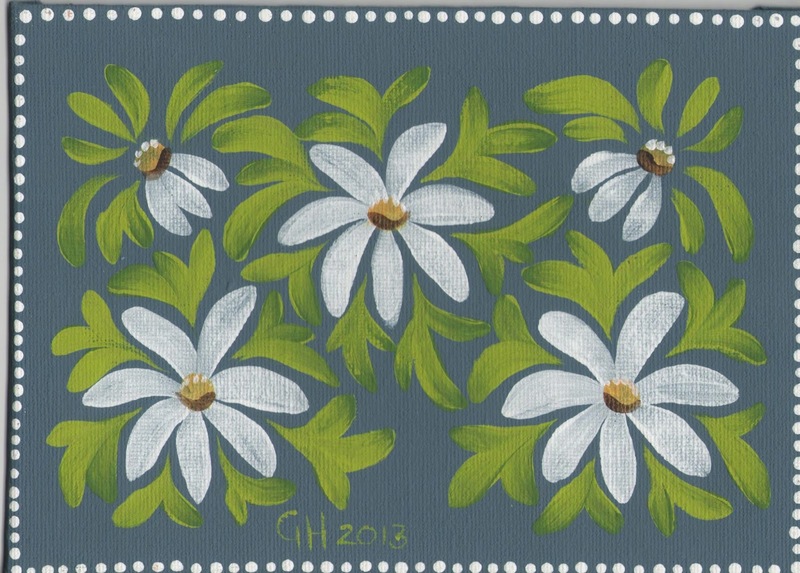 I’m Gill Hobbs, a Decorative Painter and Teacher from North Cornwall. UK. and stamping to name a few, but my love of painting has out shone them all. I found Decorative Painting 12 years ago, and I have yet to look back. I started with the Donna Dewberry technique One Stroke; it is a good starting point. the projects are quick to paint but not really my cup of tea. My next teacher was Lola Gill. She taught me the basic techniques for Tole Painting, floating colour to shade and highlight. Just one lesson was enough to know I was on the right track. I was hooked on this style of painting, more detailed and not as quick but the results are amazing. even the family were surprised and impressed. I was well and truly hooked, oh yes and line and sinker too. Lola introduced me to BADFA (British Association of Decorative & Folk Art). and meeting new friends and it opened up a new world of possibilities. I have attended lots of conventions and seminars in the last eight years. and Norfolk and lots of other places in between. and been extremely lucky to attend several seminars with International teachers too. No artistic talent is needed. No drawing skills. The only thing a beginner needs is the will to try. We use pattern packs and books and we follow the instructions to colour the project with paint. Anyone can learn, it is all workshop taught. 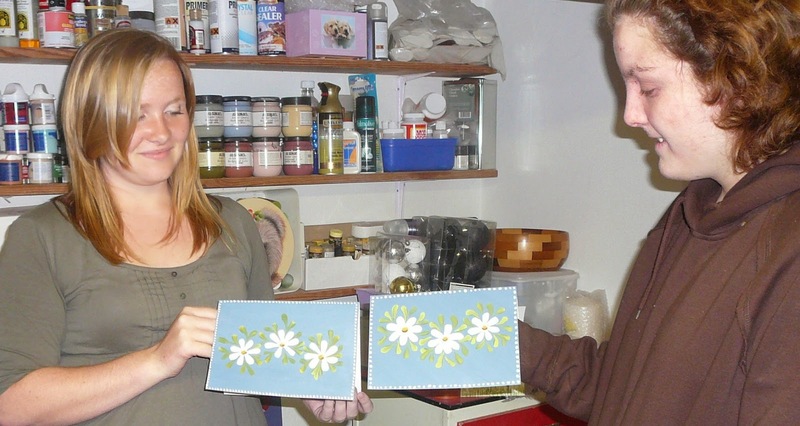 A few basic techniques will open the door to a new world of craftiness and art. there’s a huge amount of digital stamps to buy and free line drawings everywhere. Colouring books/websites, clipart and Google will become your best friend. Make sure you check for copyright, ask permission and link it back though. 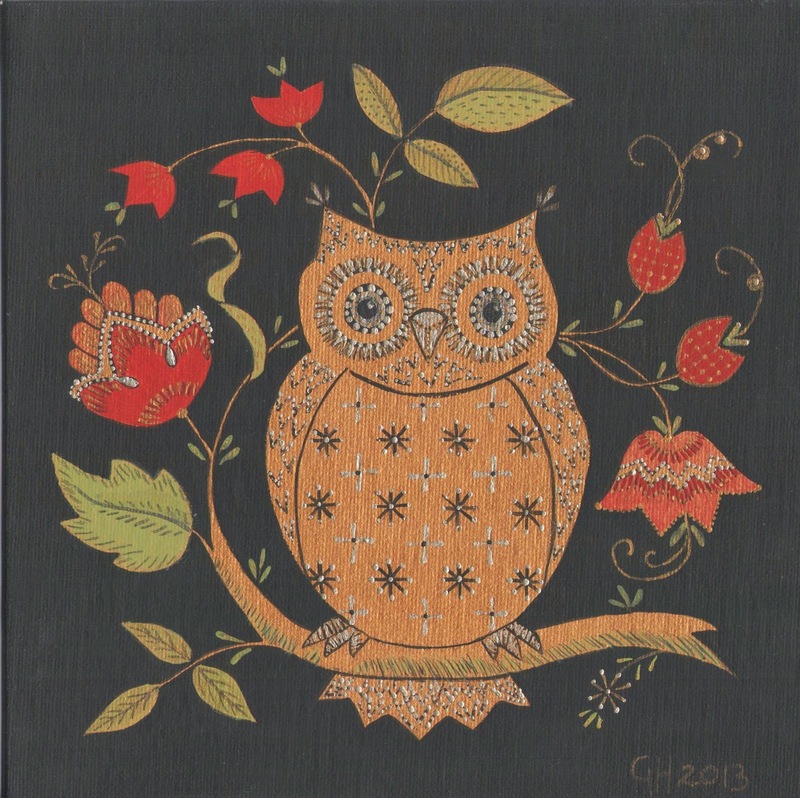 For example, this owl design was floating around Pinterest, it is a crewel embroidery design. and then introduce the black detailing. 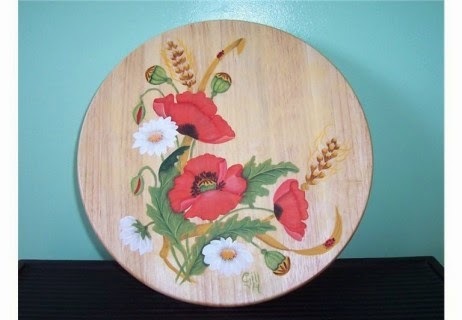 The best aspect of Decorative Painting is that you can paint on a wide variety of things. I can paint on candles, fabric, wood, MDF, terracotta, plastic, paper and card! and the right mediums, the sky really is the limit. Take a peek at my Picture Trail, as there is a huge range of projects to get inspired by. Now, I started teaching because I had reached a point where I was confident enough to pass on my knowledge. I know what works and what doesn’t for me. My daughter and her friend were my test students. and their enthusiasm to learn more really inspired me to get cracking. Upgrading my BADFA General membership to Teacher was the easy bit, what to do next was a little bit trickier! Choosing a business name and promoting me was something that needed some serious thinking! I’ve always had a quirky sense of humour and painting should be fun. My classes are laid back and enjoyable for everyone each learning journey is unique. We all learn at different speeds. I now have a business name and I’m listed as a BADFA teacher, now time to promote myself. It started with a regular article aimed at Beginners in BADFA’s newsletter “The Decorative Folk Artist”. “No don’t be silly I can’t do that!” – But according to my daughter it was a possibility. Gee Whizz it is possible to teach an old dog new tricks. Gina had the camera, tripod and the knowledge to film and edit. although some line drawings are only available for BADFA Members. My aim is to share basic techniques. Sponging - Tracing & Transferring - Liner Work etc. It is possible to be self taught. and find a teacher near you that would be good too. Painting with others is more fun and you can learn and help each other. I have been displaying my personal portfolio with a Picture Trail Account. I’ve been extremely happy with how it showcases my projects. But for tutorials it is not user friendly. OK what can they provide? How do I start? Oh stop worrying about it and jump straight in. I asked Gina to help add the HTML buttons; the youngsters understand the IT jargon. If desperate a Google Search will most probably have an answer. From Little Acorns oh bummer, not available, not really a big surprise! My blog name is maybe a bit too long, but it is easy for me to remember and it says what I want it to convey. I started creating my Blog in August 2013 but didn’t really start “blogging” until the end of January 2014. I was a little nervous but have now relaxed and I really enjoy posting. It is perfect for step by step tutorials. I can add lots of photos which is ideal for beginners. I love the fact that pages can be created, it keeps certain categories together. I use my Home page as my painting diary and tutorials, although I ought to keep them apart. “Acorns” this page lists the first group of projects for new students. “Saplings” lists the projects that stretch students after learning the basics. “Oak Trees” Now at the moment this page is empty. My saplings need more practise before entering this stage of their journey. All of my new projects are now posted on my blog and what I paint is so varied. I love all the different painting styles and I jump from one to the other as the mood takes me. and the Tulips are variations on the comma stroke. From Little Acorns – Big Oak Trees Grow and these two designs show that growth perfectly. and when I learn a new technique it shrinks back to an Acorn. The learning curve is endless. I enjoy sharing knowledge and techniques to anyone who shows interest. When I was invited to join the Cuddly Buddly Design Team I was a very happy painter :-). It has given me the opportunity to use and play with my favourite brand of paint. I’ve got a ton of ideas to share with you! Cuddly Buddly sell a huge amount of craft related goodies. Lots of items to paint on alongside my favourite brand of DecoArt paint. Check out their Blog for their monthly challenge the tutorials cover a variety of crafts. my teaching classes are a separate area of learning and I do charge. Due to where I live my student numbers are quite low, travel teaching is an option, if interested please contact me. I’m happy as things are right now, maybe another page on my blog to sell overspill class projects. I love designing and would love to sell E-Packets, but I also own a vast library of painting books. The amount of possible future projects is enormous! I’ve still got lots of projects to paint for my teaching portfolio. More techniques, flat brush stroke work, dry brushing and fur to name a few. Lots to keep me out of mischief! I am totally addicted to Pinterest where I’ve got lots of boards full of things I like. I sometimes think I’ve buried myself in ideas and really need to focus on production. I think this all comes from being a crafter. We tend to gather together items that we might use one day. We call it our “stash” but in reality we hoard. But the real beauty of Pinterest is the ability to pin direct from your blog to one of your boards. Life is a busy place and I’m happy within my creating space. Thank you for taking the time to read all about me and what I do. 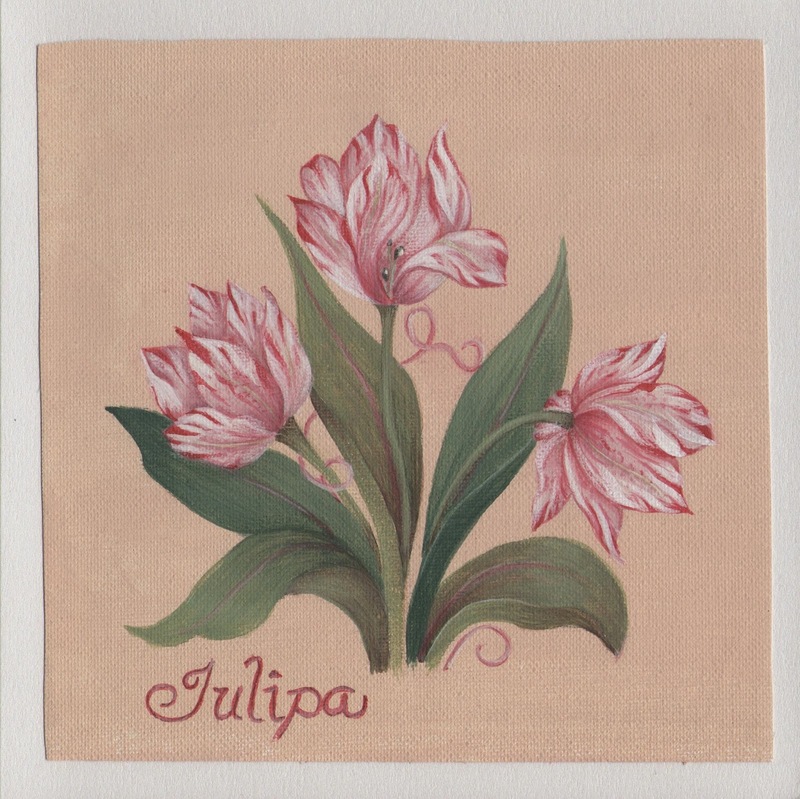 BADFA promote Decorative Painting at several Craft Show Venues around the country. and The Bath & West Showground, Shepton Mallet, Somerset in April. Please stop by the stand and say hello if you attend either of these shows. A HUGE THANK YOU to you Sue for this opportunity to be a Guest Blogger. It is always a pleasure to promote my love of this art form. Wow thank you ever so much Gill!! I hope you will all join me in thanking Gill. I can't wait to follow you and see what you get up to. I hope you'll all check out Gill's links. 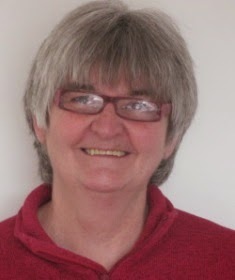 I loved the blog, Gill, brilliant!